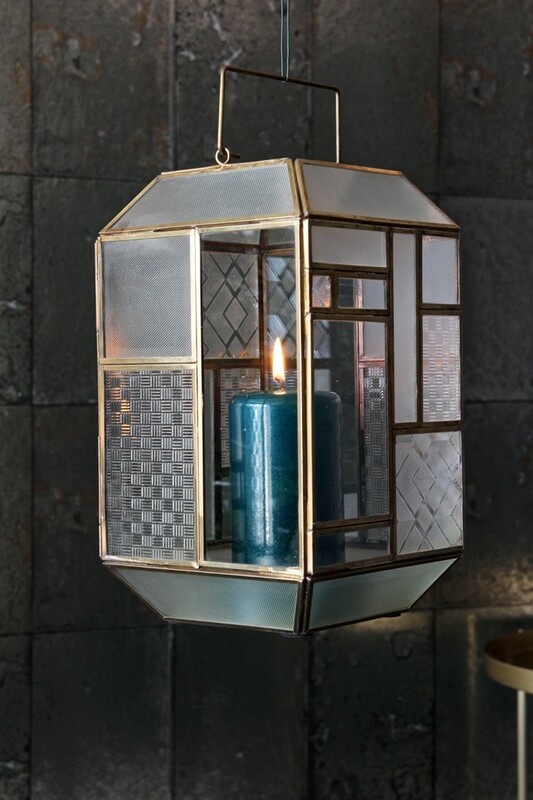 This beautiful Art Deco Brass & Glass Lantern has a delicate yet commanding appearance and will look perfect on a windowsill, side table or maybe beside a fireplace. The shape and brass panelling around the glass adds an abstract art deco effect and makes this lantern a bit different from a plain glass one. 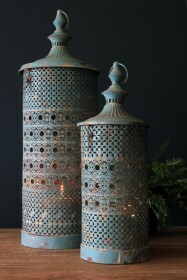 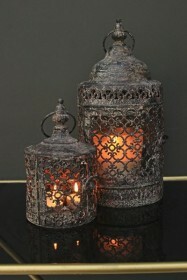 The little brass handle on the top means that you can move the lantern around your home easily should want or need to.